ASICS Tops - From $5.5 Shipped! Amazon during its deal of day is dropping the price on select styles of ASICS Tops by 40% or more. 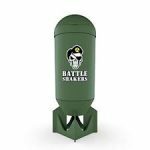 Buy one Battle Shakers Bomb & get one free for $14.99. Even with shipping, this is the best total price we saw by $10.